Matrixyl 3000 is a cutting edge deep wrinkle cream. Unlike other youthful skin creams , it increases collagen and hyaluronic acid production. The best antiaging skin creams should contain this compound. The quest for youthful skin creams that will remove wrinkles and turn back the clock on aging has been going on for many years. What has changed is that now antiaging creams are formulated with a real understanding of how skin ages and how to counteract it. We now understand so much more about aging including skin aging that we can create products that directly address the CAUSES of skin aging, and so they are very effective at improving your appearance. Matrixyl-3000 is one of those products, and you will be hearing a lot about this interesting compound in the years to come! We now know that wrinkles occur because we lose GAG's (glucoseaminoglycans) which are sulfated protein complexes that make up the protein matrix of your skin. What this means in English is you get wrinkles because you lose proteins that give skin it's tone, suppleness, and “plumpness,” for lack of a better word. Ever notice that sometimes when people lose weight they look older, because their skin has lost protein and fluid. Just like a balloon when it deflates, the skin loses its youthful look when it loses its protein. So any “deep wrinkle cream” has to be effective in restoring that protein to improve the look of your skin and combat wrinkles. Matrixyl 3000 (palmitoyl tetrapeptide-3) is called a “lipo-peptide,” which is a combination of a fatty acid and an amino acid. This structure enables it to increase the synthesis of collagen up to 117%, hyaluronic acid by up to 267%, and strengthen the extra-cellular matrix of the skin. Test A clinical trial with 46 people ages 39-74, showed the positive effects of this compound. Two daily applications for an 8 week time period resulted in average reductions of 14% (skin roughness) and 15% (wrinkle depth). There was also a 45% reduction in the skin area with deep wrinkles as well as an overall improvement in skin tone of 20%! 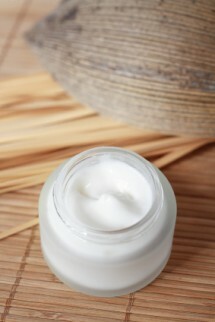 Remember that Matrixyl 3000 is an ingredient in antiaging skin creams rather than a standalone product itself. You should look for the ingredient to be in the range of 3% to 8% strength in the product in question. At last we there really IS something that works to reverse the signs of skin aging. The addition of this deep wrinkle cream to your antiaging skin care regimen will really improve your skin tone, reduce wrinkles, and make you look years younger.